Born in Veneto not far from Venice, Chiara Andreatti moved to Milan to study industrial design, where she now lives and works. She has designed for a multitude of companies working in glass, metal, ceramics and wood, often combining the artisan culture of her venetian roots. 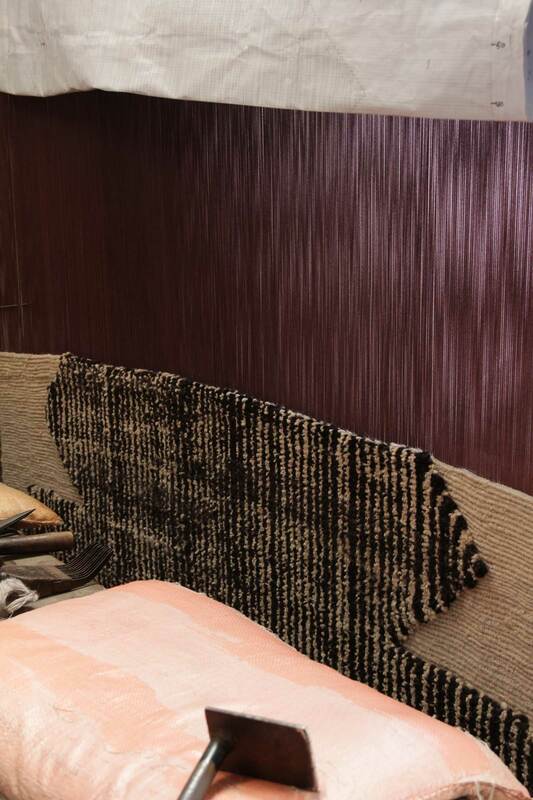 She believes that a handcrafted and poetic touch on everyday objects will enrich our lives which is evident in the Primitive Weave Collection she designed for cc-tapis. We caught-up with Chiara to talk about the collection and her inspiration. 1) What was your main inspiration? 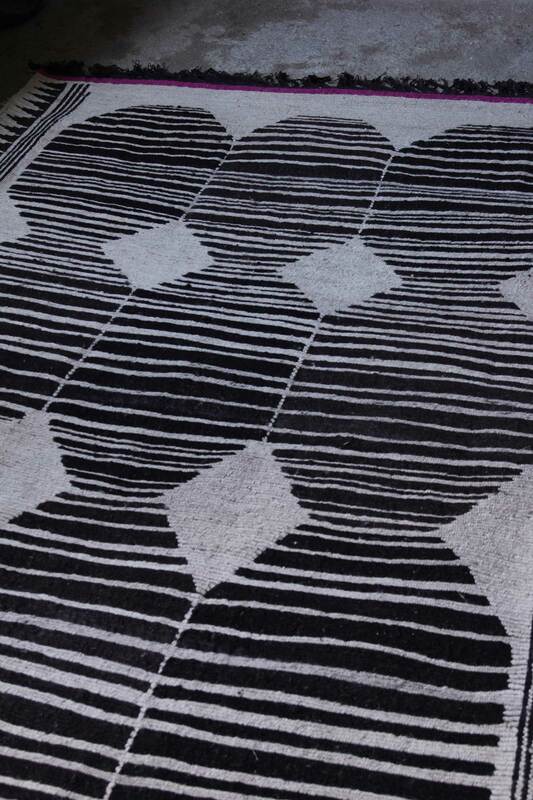 My inspiration came from classic berber rugs but re-interpreted with the addition of graphic elements inspired by geometry of the early 1900s. The combination of a kilim and a high pile height creating an unexpected three dimensional effect. 2) Can you describe your design process? 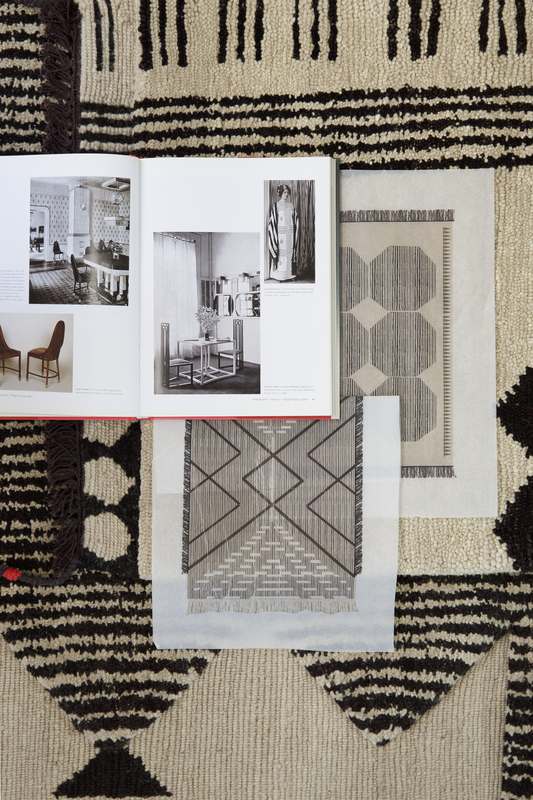 I’ve always had a passion for textiles, fabrics, embroidery, passementerie and above all rugs, which I have been constantly researching for the past 10 years. 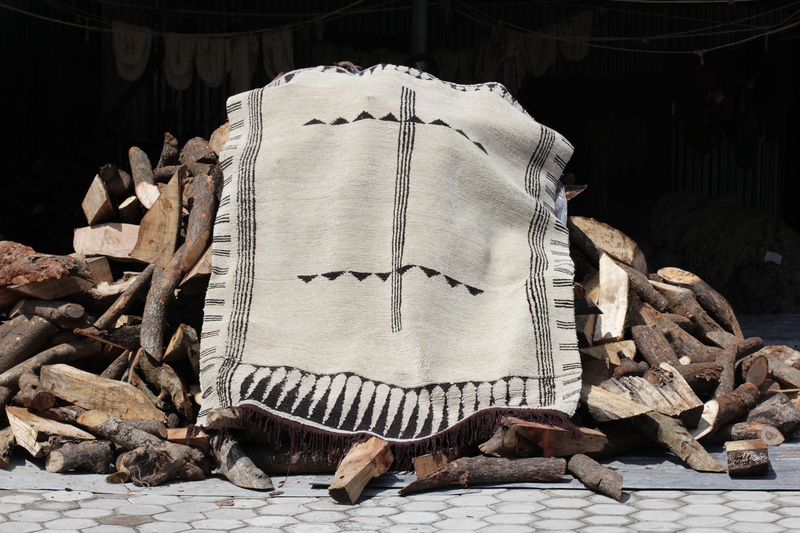 Going through my archives I dived into Marocco looking at typical “Beni Ourain” rugs which are made by hand. I looked into African symbolism but also in the textiles designed at the Weimar School by female designers like Agda Osterberg and Annie Albers. Primitive Weave is the result of mixing these worlds together. 3) When you designed them, did you have a particular interior in mind? I was inspired by the interiors from the early 1900s by Gropius and Hoffman, but also by Art Deco, in particular for the first part of the collection. The new development may be connected to a more folk approach, having played with color. 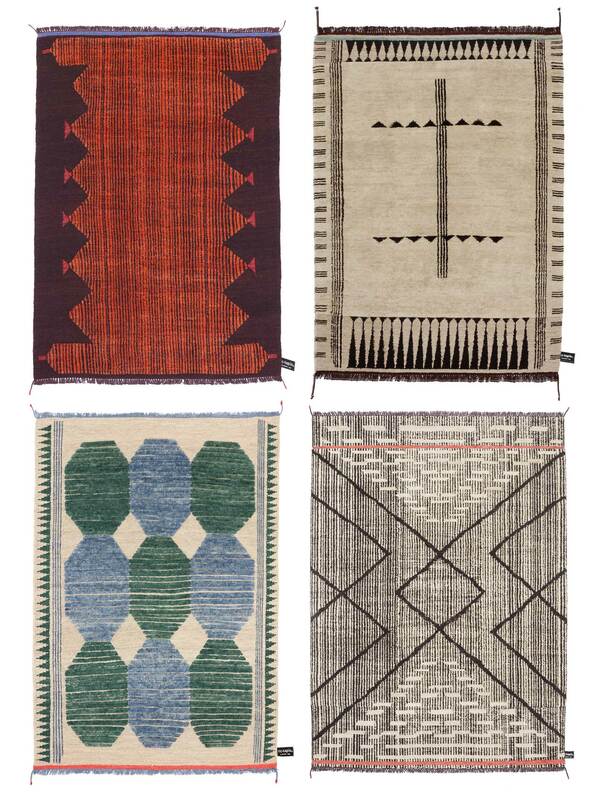 4) Of all the rugs, which is your favorite? The first two designs from the collection are the ones I feel the most connected with. Primitive Weave 1 and 2. 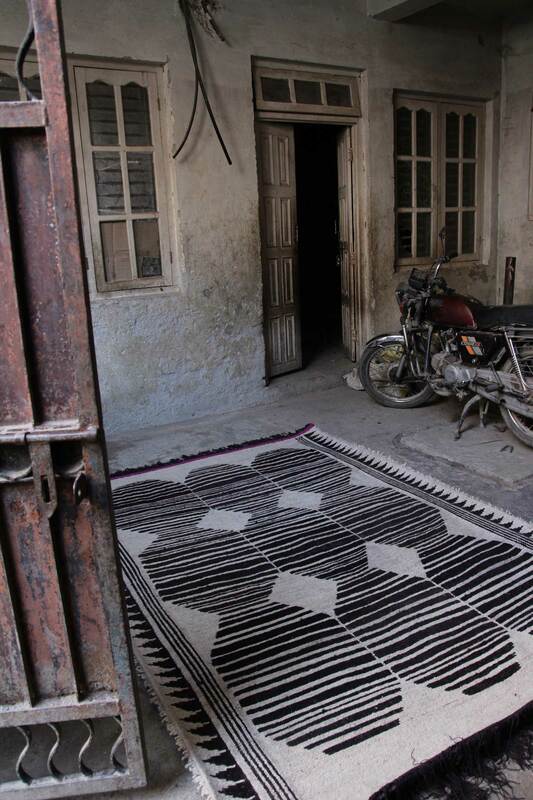 5) What would be your dream pieces of furniture to use with your rug? More than one single piece, I can imagine my rugs in my dream house in the country, on an uneven tiled floor with a warm fire and cats that cuddle here and there, maybe next to an old wooden chest from a local vintage shop.